Success in school is not just about reading and math. It is also about knowing how to learn and how to get along with others. 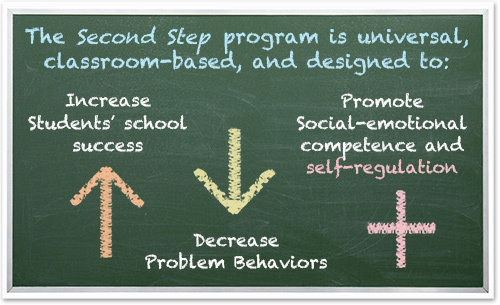 In support of Mitchell Elementary’s PBIS framework and Mitchell ROCKS, we will be using the Second Step program in all of our classrooms to teach these critical skills. 1. Skills for Learning: Students gain skills to help themselves learn, including how to focus their attention, listen carefully, and be assertive when asking for help with schoolwork. Your children will be learning a lot this year—and they will need your help! You can access Home Links here that go with several of the Second Step lessons that are being taught in your children’s classrooms. Home Links are simple, fun activities for you and your children to complete together. They are a great way for you to understand what your children are learning and for them to show you what they know.